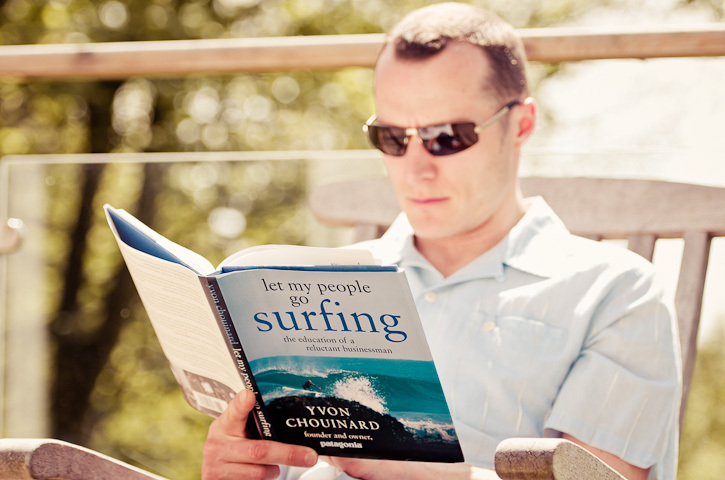 Whilst on holiday in 2005 I read the book 'Let My People Go Surfing' by Yvon Chouinard, climbing pioneer and owner of Patagonia Inc. I was inspired to look carefully at the waste that my business was creating and on returning I discussed with my team my feelings about the impact the business was having on the environment. I quickly instigated re-cycling programs for all our cardboard (even a small business like mine can receive upto half a dozen boxes per day! ), plastic and paper. All our stationary began to be printed on 75% recycled stock (paper needs some virgin fibre to hold it together - but this was from FSC sources), using Chlorine-free inks. The referral packs I designed for other dentists to use to refer their patients were made from non-laminated, non-glued art board so these also could be recycled easily. Our branded carrier bags are now made from biodegradable plastic. I have a vision of a local recycling scheme for Highgate (and further afield). Imagine all the businesses on Highgate pooling their resources to have regular kerbside collections for recycleable material...!